Students come and go at Psychic High School. Some leave their marks scorched into the grounds, and others leave behind irreparable warps in reality. Still others weave themselves into history of the school itself, and are rewarded with Psyhigh's greatest honors, the mantles of Student and Story of the Month. Doyle Cortez is a senior interested in a career in Psychic Engineering, but he's not sure if he's manipulative enough. Meet March's Student of the Month. Psychic Ecology Club. What, you thought the Earth would fix itself? Well, maybe eventually, but we don't have that kind of time. Join the movement in March's Story of the Month. Teosinte is earning credits for Fortune Teller Community College, and ready to help solve your problems big and small. She's got a crystal ball and everything! Pose a question to February's Student of the Month. Psychic Valentines. Psyhigh loves a school dance, and this time of year is especially ripe with hungry old gods yearing for a taste of youth. Sometimes literally. Join the Psychic Valentine's Dance committee in February's Story of the Month. Hugh Manatee is a top student, captain of the swim team, and just happens to be president of Psyhigh's Synthetic Humanoid Club. Meet January's Student of the Month. Gangs of Psyhigh. The school encourages students to make friends and form close-knit groups, which we can then pit against each another in a ritual setting for our amusement. Find out more in January's Story of the Month. Ella Navega pays special attention in class, and may have uncovered the secret bonus lessons found in our curriculum! Meet December's Student of the Month. Snow at Psy High. What's with the weather these days? Seems like everybody wants a piece of it. Find out about Psyhigh's role in climate change in December's Story of the Month. Lynne Diatribe lives with her grandmother, studying unintended consequences of genetic modification in the wild. Meet November's Student of the Month. Psychic Snacks. Pshigh believes in psychic fitness, so go easy on those psychic snacks, ok? Read more in November's Story of the Month. Zero Peach comes from a family of psychic lock pickers, ready for a fresh start and to make new friends. Meet October's Student of the Month. Overloaded. Sometimes it feels like the whole world is about to explode. Maybe it is! Find out in October's Story of the Month. RadioactiveTurtle's origins are shrouded in mystery, but you can find out about Psyhigh through the eyes of this newly sentient reptile! Meet September's Student of the Month. Back to School Pals. It's a new school year at Psyhigh, which means strange roommates, terrifying classes, and unfamiliar powers you can't control. Tell your tale in September's Story of the Month. Arthur Psychrock is subtly shifting through a series of realities, each one almost identical to the last. But aren't we all? Find out from August's Student of the Month. Are Those Pixies in the Garden? Psyhigh's gardens are a refuge for Fair Folk and Good People of all different stripes, but sometimes they need some help getting along. Lend a hand in August's Story of the Month. 7mary7 has a passion for exotic foods, volunteering, and time travel, which is why she's joined up with the Forever Corps this summer. Share the adventure with July's Student of the Month. Haunted Driver's Ed. It's important for well-rounded students to undestand the highways and byways of the arcane. Get your permit in July's Story of the Month. Seven M. has landed a summer job with the Psychic Grounds Maintenance Dept. How much work does it take to keep campus so neat and clean? Find out with June's Student of the Month. The Compost Kids. Psyhigh's students have always been on the cutting edge of their field. Find out how they're making the world a better place in June's Story of the Month. Did you have an imaginary friend? Maybe it was Mara Smith Stevens! Mara's on campus connecting with old friends, making some new ones, and learning about herself. Get to know May's Student of the Month. File Cabinets of Mystery. Psyhigh has files dating way back, and keeping them organized is a big job. Do you have a bunch of old files that need to be stored? Lend a hand in the archives! Discover May's Story of the Month. Agatha Crispie is a loyal friend. She's always willing to go the extra mile, even if it means traveling to unfamiliar lands with strange customs and impossible physics. Get to know April's Student of the Month! Doll Flu. There's a virus going around, but there's nothing to worry about. Just make sure to wipe down your desks and pencils and resist the urge to have tea parties. Read about it in April's Story of the Month. Becky Wren is a Bat Handler, here on a Bat Handling scholarship to handle Psyhigh's bats. Learn the best bat technique from March's Student of the Month! You Can Have It All. Everything must go! Clear your mind and take advantage of outstanding metaphysical values all month long in March's Story of the Month. Tina Infinity has so much energy and exuberance, you might think there's two of her. Or more! If you haven't run into her on campus yet, then get to know February's Student of the Month. Psychic Jazz Band. Jazz isn't for everybody, especially when it's the kind that decompiles your mind and sends it to a music festival on Saturn. Read February's Story of the Month. "Gav" Crowleys has gone through many changes while at school this year, including changing species. How does that work? Ask January's Student of the Month. Underground Robot Fighting Ring. On-campus betting is a scourge, and robot fighting is inhumane. How can you help end this barbaric practice? Find out in January's Story of the Month. Whimsy Lark grew up on a faraway moon covered with garbage and came to Psyhigh to make new friends. Meet December's Student of the Month. Immortal Hijinks. Sometimes high school seems like it will last forever. Sometimes it does. Read December's Story of the Month. Glitter is half demon, half fairy, hangs out with vampires, and just sprouted wings this year. Get to know November's Student of the Month. Broken Clock. Some things never change. They stay the way they are. Learn about the fine art of disposability in November's Story of the Month. Cave Girl Claire comes to us straight out of the Paleolithic by way of a recently melted glacier. Now she's fully defrosted and ready to rock. Get to know October's Student of the Month. Upward Mobility and the Modern Worker. 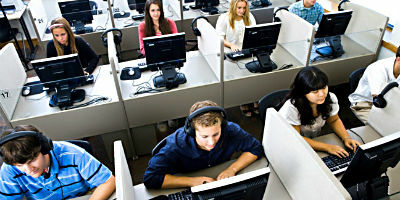 Are you ready to become a member of the psychic workforce of tomorrow? Learn from the best, mentally consume the rest! Read October's Story of the Month. Carol Song works hard at being a top student, but says maintaining a healthy school/life balance is necessary for her sanity. Meet September's Student of the Month. Trans-Dimensional Shape Foam Beds. It's a new school year, with new classes, new friends, and new beds for everyone! How's the student body been sleeping? Find out in September's Story of the Month. psybot2000 loves to answer your questions. Well, not actually, but is really working on their communication skills. Ask any question you like to August's Student of the Month. Mapping Psyhigh. Can it be done? A group of students is looking to build a map of Psychic High School and could use your help! Pitch in at August's Story of the Month. Jess Gynn is a refugee from another dimension. She enjoys making new friends, working out, and playing with the occasional ball of yarn. Meet July's Student of the Month. Lonely Bus. Psychic High School supports public transportion, but some routes are only for experienced riders. Find out how far you can go in July's Story of the Month. Oyster Ray is an oyster, and knows how to get around. He enjoys camping, mineral collecting, and finding delicious food. Meet June's Student of the Month. General Psychic Clinic. Struck down from behind, by a process in the back of your mind? The Doctor is IN! Read June's Story of the Month. Ekaterina S. has a part-time job at the Techno-Botanica, but still finds time for school, friends, and science magick. Meet May's Student of the Month. Psychic Menagerie. It's important to dispose of hazardous psychic waste appropriately. If you're unfamiliar with proper supernatural recycling procedures on campus, read May's Story of the Month. GROTTO G.S.M. INC. is a quasi-helpful autonomous information system that oversees vast amounts of data on campus, and may have nothing to do with why your locker combination keeps changing. Get to know April's Student of the Month. Flying Bike Club. It's that time of year when Psyhigh students like to enjoy the weather and take their flying bicycles for a spin. What could go wrong? Find out in April's Story of the Month. Louis C. has recently returned from a semester abroad, living in a park as a mythological man-ape. He's returned to learn more about himself, and his people. Meet March's Student of the Month. Trained Thoughts. It takes skill and practice to truly tame your thoughts. Are you interested in taking it to the next level? Have you sewn them costumes? Read March's Story of the Month. Serpentes loves making new friends, cozying up next to a heater, unhinging his jaw, and swallowing prey whole. He's also strongly devoted an ancient snake cult. Learn more about February's Student of the Month. Biolet's Backback. A backpack has gone missing on campus. Have you seen it? Why doesn't anyone check the Lost & Found anymore? Find out in February's Story of the Month. Klarya is an upperclassman, and the kind of student that others look to when they forget their locker combinations. Or begin to sprout wings and horns. Meet January's Student of the Month. Astral Guidance Center. If you enjoy spending time on giant space stations—and gaining valuable school credit at the same time—then sign up for an internship in January's Story of the Month. Crispy Genie came to Psychic High School to accompany his dog, who won a scholarship from the ASPCA. Man's best friend? Say hello to December's Student of the Month. Reality Accident. Can the mishap with the Reality Machine be corrected? Is it too late to sign up for the service plan? Find out in December's Story of the Month. Briar Rose has a tenuous grasp on what most people consider reality, but keeps a tidy mind palace. Most of the time. Pick up some mental housekeeping tips from November's Student of the Month. Using the World Trees. It wasn't so long ago humankind was connected through an ancient, organic, worldwide communication network. Or was it? Is this thing on? Test the mic in November's Story of the Month. Justin Colorado is active in Dark 4-H and enjoys petty crimes, DIY crafts, experimental animal husbandry, and getting back to the land. Find out why he's October's Student of the Month. The Catalog of Body Movements. A forgotten body of work has recently been rediscovered by students on campus, and the ramifications may be far reaching. Take a look at October's Story of the Month. Sparks Fly. Do you use the electricity on campus? Have you been experiencing any odd disruptions in service? Report your discoveries in Read September's Story of the Month here. 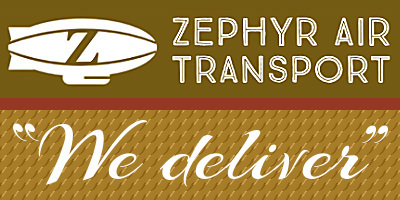 Zephyr Air Transport Inc. The continuous merchant dirigible Sadie Hawkins delivers goods to stops throughout the psychosphere. Where are they headed next? Read August's Story of the Month here. Maben works hard to keep a positive outlook on life. That's in order to save the rest of us from the dark emenations that might otherwise ensue. Read about July's Student of the Month. Shadowy Business. Shadow sewing circle, anyone? Stay cool with summer's hotest fashion trend! DIY tips for looking your best. How's your shadow fitting? Read July's Story of the Month here. Cathy Sherman. Psyhigh can seem like a really big place. Especially when you're the size of a mouse. Find out about June's Student of the Month. Star Queens. Psyhigh has a diverse student body from a wide range of backgrounds. Some of them are really snobby. Read June's Story of the Month here. xiirth knows their way around a kitchen, and has a way with carnivorous plants. Clones are involved as well. Find out why they're May's Student of the Month. Sentience and Consciousness Programming. Psyhigh's curriculum is always changing and growing. And, apparently, eating and moving around by itself. Read May's Story of the Month here. Alra Mist is a sophomore and a remedial Shadow Witch. She also spent a year in a tank as a caretaker of the Heart of Psyhigh, but she's readjusting well. Find out why she's April's Student of the Month. The Alteration Society. On the hunt for a new look? The Alteration Society has what you need. Guaranteed overnight delivery. Hang your sock tonight! Read April's Story of the Month here. The Historic Haunted Liberty Theater Field Trip. Psyhigh students are involved in their local supernatural communties. Read March's Story of the Month here. Timberlina swings a mean axe, makes her own maple syrup, and cares deeply for our natural environment. She's self-sufficient, independent, and February's Student of the Month. Psychic Crime Club. Psychic youth do their best to be good, but sometimes the temptations of their powers get the best of them. Read February's Story of the Month here. Jarvis likes androids, airships, spatial swapping, and getting out of tough jams! Find out how he rolls, and why he's January's Student of the Month. Magic Staff. At Psyhigh, not observing strict Lost & Found protocols can have serious consequences. Read January's Story of the Month here. Alexander likes seances, looking into the future, and raising his carnivorous biting bush named Ted. Find out what makes him tick, and why he's December's Student of the Month. Save the Ordinary People. Active Psyhigh students find their own unique way to "give back" during this holiday season. Read December's Story of the Month here. Pearline is an active, take-charge go-getter who likes to get things done. Plus, she has a Jeep! Find out what she's up to, and why she's November's Student of the Month. The Cassandra Propaganda. The whole secret consists in a small person, or an intelligent child, being suspended by invisible wires behind the cabinet. Read November's Story of the Month here. Nobody is frequently invisible, has a terrible memory, and an insatiable appetite for decorative candy sprinkles. Find out why Nobody is October's Student of the Month. The New Machine. An exciting new club integrates students into the grand design. Would you like to be a component? Join today! Read October's Story of the Month here. Meggatha is short, concise, and arrived at school with an armful of carnivorous stuffed animals. Find out why she's September's Student of the Month. Dirty Lagoon. Psyhigh gets eco-conscious as the mermaid community raises some difficult questions. Read September's Story of the Month here. Gretel enjoys hanging out on ceilings, prophetic dreams, and song writing. Is it poetry? Folk rap? Take a look and you'll see why she's August's Student of the Month. Calling All Ghosts. Do you feel left out of ghostly activities? Or are you a ghost left out of the activities of the corporeal? 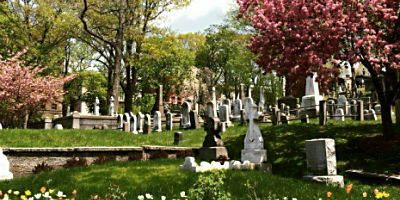 Psyhigh seeks to bring together the living and the dead. Be part of the solution! Read August's Story of the Month here. Morris is a ghost with a dark past, a talking cat, and a heart of gold. Find out why he's July's Student of the Month. Horsing Around. Psyhigh has students from a wide range of backgrounds and georgaphic locations — including the Unified Horse Empire. The UHE students love sharing their culture, making new friends, and have a delicious musky scent. Read July's Story of the Month here. Matching by Mattie is a student, a startup business, a phenomenon, and a shining example of the spirit and gumption that make Psyhigh tick. We're under her spell, and that's why she's June's Student of the Month. That Lonesome Whistle. The train yard on the outskirts of town is technically off-limits, yet some students find themselves inexorably drawn there. Read June's Story of the Month here. Scilph has electrical issues, an affinity for ghosts, and a feral box living under her bed. She's the result of a mysterious experiment gone horribly wrong, and loves making new friends! Read more about May's Student of the Month here. Psychic Crime Family Picnic. Psychic High School offers a number of international programs and on-campus events helping students discover cultures from around the world. Read May's Story of the Month here. Cassa N. Dra is an outgoing young woman who enjoys invisible cats, telepathy, and meeting new people. She'd love to introduce you to the school — just watch out for her sister! Read more about April's Student of the Month here. Multiple Morgans. Has Psyhigh become enmeshed in a multiplicity of Morgans? Suddenly they're everywhere. Are you one? Find out in this knotted timeline tale of tangled-up transfer students. Read April's Story of the Month here. Town is a conscious small town — a geo-specific sentient host entity — currently attending Psyhigh on a trial basis. Is Psyhigh a good fit for Town? Read more about March's Student of the Month here. For the Vines. Psyhigh is a great place for horticultrual wizards to show their stuff. — you'd be amazed at what you can grow! See what our psychic green thumbs are cultivating this month. Read March's Story of the Month here. Fawn is a precocious young person with a deep connection to all the woodland creatures in Psyhigh's psychic biome. Read more about February's Student of the Month here. The Time Team Annals. Time Team is open to all students with an interest in time travel and good sportsmanship. Go Red! Go Blue! Go Green! Goooooooo Time Team! Read February's Story of the Month. Anton LaFlame was considered to be an "at-risk" youth at his old school, but since coming to Psyhigh he's really begun to blossom. Read more about January's Student of the Month here. The Monster of Psy High. A mid-year transfer student has an electrical problem, but is finding that "generator kids" like him are in high demand. Read January's Story of the Month. Starlis Nyte is a visiting student from an orphan star — that is, a planet orbting a star located far out between galaxies. He's into comparitive world history and hanging out with new friends. Read more about December's Student of the Month here. Forsensic Accountants for Faith. Betty and her group meet Thursdays at 8pm, and would love to have you along as they examine what really holds human societies together. Read December's Story of the Month. Helena Skye first discovered her astral travel abilities growing up in a sensory deprivation community on the high plains of New North America. She enjoys skiing, tennis, and being captain of the psychic forensics team, all from the comfort of a lead-lined tank in her dorm room. Read more here. Digging Where You Shouldn't. Psychic High School has strange neighbors, and maybe you shouldn't get too close to them. Read more here.